Buckminster Fuller once famously observed that people don’t have roots. Trees have roots. People have feet, and one result of this human reality is that migration, including international migration, has always been a fundamental fact of life for our species. Are immigrants dangerous? Are they indigestible foreign bodies who somehow pose a threat to ordinary Americans and their way of life? Or are they, like most of our own ancestors who also arrived as immigrants, trying to transform themselves into Americans? What will they look like if they succeed in such efforts? And even more importantly, what if such efforts fail, and some immigrants become marginalized, ghettoized, angry outcasts? These questions become more critically important every day in our present world. These are also the questions addressed by a thriving area of sociological research dealing with the topic of acculturation—literally, fitting into a culture. Acculturation is something that we all do, but for most of us we call it socialization and we do it as little children, picking up language, table manners, prejudices, hopes and dreams as we grow up. But when you move half-way around the world to start a new life in a strange foreign land, this process of trying to fit in is called acculturation. Researchers who studied the last great wave of immigrants to America, writing two or three generations ago in the mid-20th century, tended to give an either-or answer to this question. You could be either German or American. You could be either Chinese or American. We often assumed that becoming an American meant giving up on being German or Chinese. Measures of acculturation back then even forced this explicit choice. Researchers used a scale with American at one end and your foreign origin at the other end, and if you put yourself close to one choice, you automatically distanced yourself from the other. 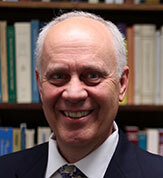 Dr. Woody Carlson is the Charles B. Nam Professor in Sociology of Population. His research examines generational cycles in populations, social determinants of infant and reproductive health, and working-age mortality in Europe, the Middle East, and America. The featured image is from Thinknowresearch.com. Previous PostPrevious What Does Fixing Social Security Mean? Next PostNext Teacher Strikes: Why Now?